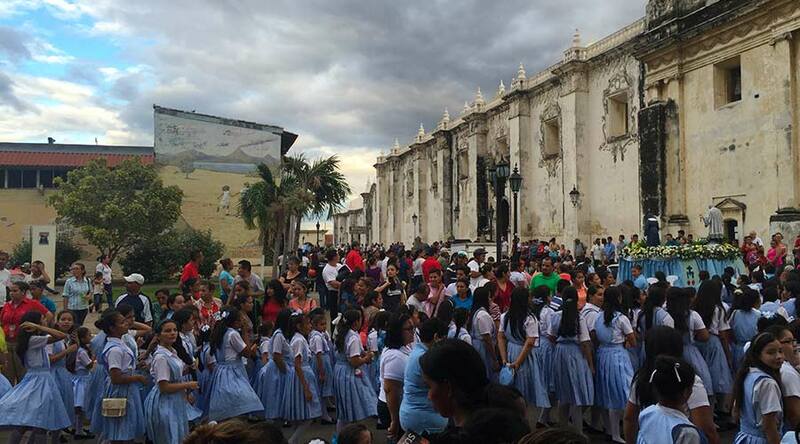 How justified was the call to boycott Flor de Caña ? Accueil » Cane cutters disease : Time to move on ! » How justified was the call to boycott Flor de Caña ? In the light of the devastating effects caused by a kidney disease of non-traditional causes called CKDu (Chronic Kidney Disease of unknown etiology), which has decimated workers in Nicaragua’s sugar industry since the early 2000’s, Rumporter has decided to take action with an investigation into the causes of a public health catastrophe that has seen about 20,000 cane cutters die in Central America, especially around Chichigalpa, the town where Flor de Cana, the only Nicaraguan rum, is produced. The question on which this dossier is based is direct, or even final, but the answers are necessarily complex. Our publication director has tackled the subject head on to inform you and help you develop your own opinion by presenting sources and interviews representing all the parties involved. His report takes the form of a personal account which hides none of the questions he encountered on his quest for the truth and serves as an introduction into the above-mentioned sources. 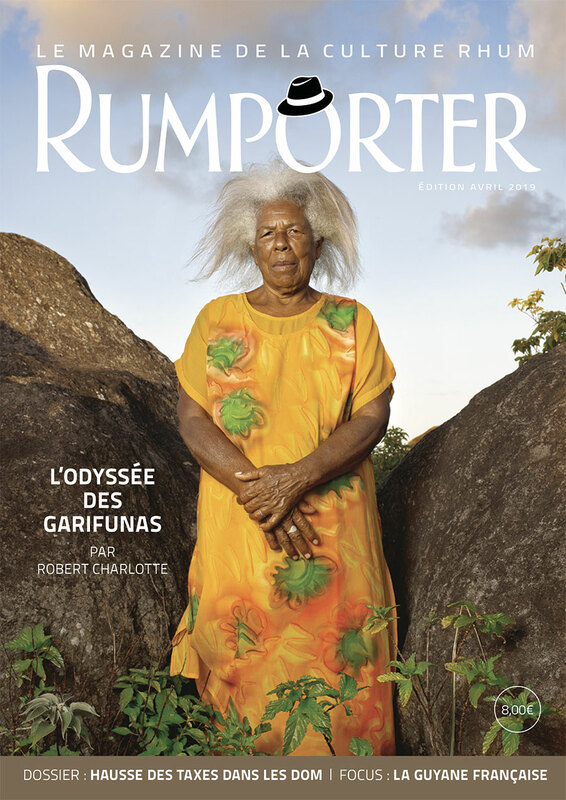 Rumporter would therefore like to encourage you to approach this dossier as an “intelligent and active” reader, to take some time to check the links in this article, or even to consult other sources. 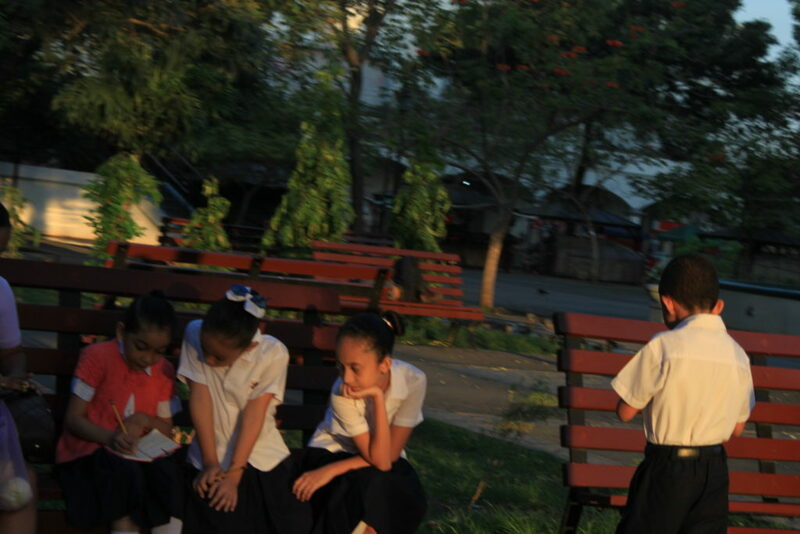 Right from the start, discovering the existence of CKDu posed a dilemma. On the one hand, a member of the alcohol industry has hardly anything to gain but problems from poking his nose into the production methods of a Central American rum brand that has managed to penetrate the North American market. On the other hand, the questions that had been running through my mind for months, based on snippets of information gathered here and there regarding the disease affecting workers in the Nicaraguan sugar industry, forced me to try and find out more. Are conditions for workers in the Central American cane cultivation industry decent and ethically acceptable? Is there blood on the corks and labels of rum bottles from Costa Rica, Nicaragua, Salvador, Panama and Guatemala, which have become available on the shelves of our liquor stores and at duty-free shops? In which case, does Rumporter have the legitimacy to criticise brands from this region? If we decided to tackle such a complex case, we would have to give balanced treatment to all sides. I had received concise but incisive news of the development of chronic kidney disorders affecting cane cutters in Central America through fiery columns by Hervé Damoiseau. Our editorial writer regularly wags his finger at unfair competition from countries where cane does not cost anything due to deplorable working conditions imposed to the local workforce. I had also heard about it on social media, running into short comments by rum columnists with an acerbic reputation but whose humanist beliefs and rigour could not be questioned, e.g. Cyril Weglarz (www.durhum.com) or Nicholas Ferris (www.therumcollective.com). Burying your head in the sand, trolling or Rumporting? Faced with questions of this type, one can adopt one of three approaches depending on one’s sensitivity, interests or schedule. The first one – which I am fairly familiar with – consists in burying your head in the sand. Turning a blind eye on things, not trying to find out too much, allows you to avoid being ripped apart by powerful claws. Obviously, one of the responsibilities a publication director has is to stay away from potential conflicts with advertisers. But then again, he or she must be able to reconcile conflicts between their conscience and their interests. The second possible approach, now a popular one on social media, consists in “trolling”. In fact, a troll is only someone who, motivated by resentment, buries their head in the sand. Trolls do not think, they snitch on other people without trying to understand what is at stake, without attempting to determine the whys and wherefores in a case which they necessarily present in a binary way. A poor substitute to whistle-blowers, whose merit they think they can match up to, trolls only feed their own anger with the frustrations of their daily lives. The third option consists in investigating… For real. This approach is more gratifying, but it also requires more investment. And it forces you to confront your doubts and your fears: fears of not living up to what is required by the issue, of becoming disheartened at the prospect of long-term involvement, of being led by the nose, but also a noble but very confusing fear, that of reaching conclusions contrary to your initial intuition… after having been led by the nose. A true moral dilemma, but one which often receded behind the hundreds of emails I had to deal with every day and the duties of family life. So, I put things off. Life is a celebration, after all. A Rumporter is perfectly content with a life of cocktails, cookery recipes, postcards and lyrical tastings with Cyr Mald. And then, one day, I came across calls to “boycott Flor de Caña” coming from the United States. This happened shortly after Bobby Heugel, owner of Anvil Bar & Refuge in Houston, dumped more than twenty bottles of Flor de Caña down the drain. Reported by the online magazine Eater, this mood swing inspired Jim Romdall and Nicholas Ferris. Active members of the rumosphere, the Seattle duo went on a campaign calling for the boycott of Flor de Caña in 2016 (read our exclusive interview with Nicholas Ferris. In Edmonton, Evan Watson (read our interview) followed in their footsteps by clearly aiming at the Nicaraguan brand as well. The only rum distilled in Nicaragua is produced in Chichigalpa. Now, the region surrounding this town in Northwest Nicaragua has been for fifteen years one of the epicentres of CKDu, a kidney disease of non-traditional causes that has decimated its population of male farmers. The death rate among men around Chichigalpa reached such proportions in the 2000s that Isla, one of the villages in that area, has been renamed “la isla de las viudas” (the Island of Widows). The American barmen’s protest naturally posed a moral dilemma, while, at the same time, some readers of Rumporter started asking us about our opinion on the subject. Were we going to follow suit and call for the boycott of Flor de Caña, just like that, as a matter of principle, or overlook the issue out of cowardice or lack of time? Neither. It was impossible to make a judgment without knowing and impossible to know without finding out. But investigating has a cost… Never mind! We had to go there and form our own opinion in true Rumporter fashion. During the initial collection of information, I discovered a few enlightening documents about the context and its complexity. This academic research, extremely comprehensive, analyses the social organisation in the farming industry in the second poorest country in the American continent after Haiti. 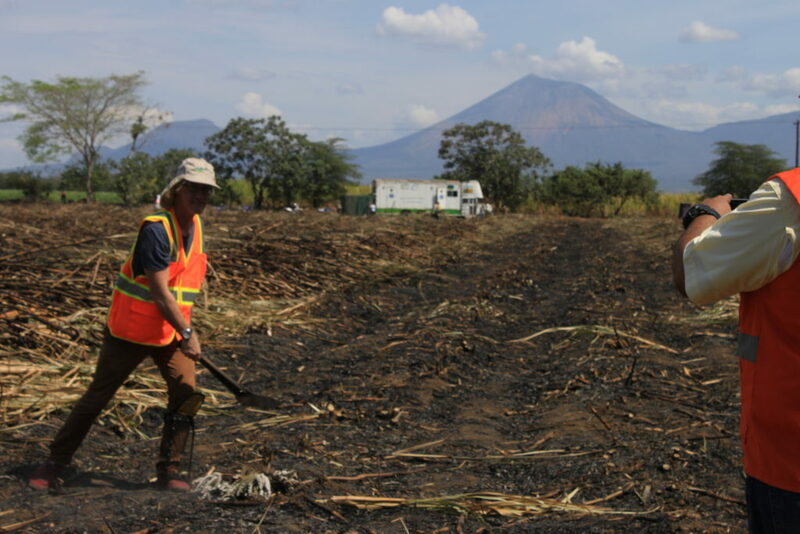 In particular, the research turns the spotlight on a subcontracting system (now abandoned by most sugar producers in Nicaragua) exerting indirect pressure on field workers, forcing them to work like slaves due to unconscionable contracts that tied them up to agro-industrial companies. New leads were then opened by looking into the works of La Isla Foundation (renamed as La Isla Network), an NGO entirely dedicated to studying and acknowledging the disease and putting in place practical solutions to detect it and, most importantly, to fight against its causes. Jason Glaser, its founder, guided me during the preliminary stages of our inquiry (read this interview with him, begun at the beginning of the investigation in 2016 and amended in July 2017 and March 2018). The Nicaraguan chapter of the CKDu case has received broad media coverage in the United States, Nicaragua being the favourite playground of American humanitarians. 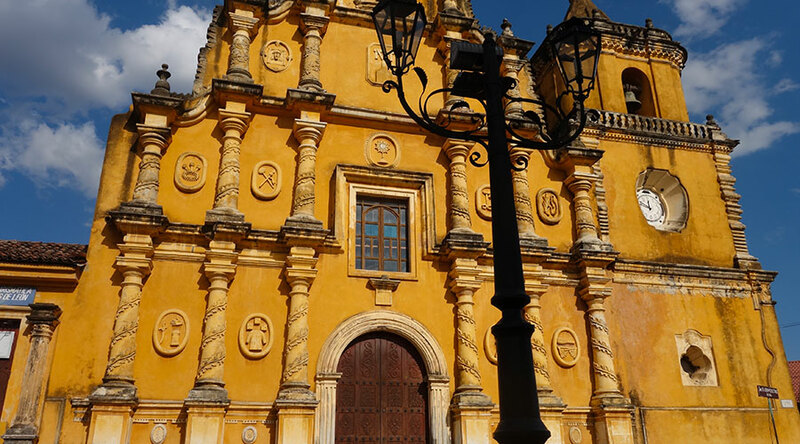 A short two-hour flight from Miami brings you to the former theatre of the Sandinista Revolution, so it’s no wonder that the country is home to numerous missions funded by various American congregations. Numerous holiday camps are held there, allowing American teenagers to help “build permanent structures in a very poor country”. One cannot help but wonder if this interest in Nicaragua is related to a sense of guilt among U. S. citizens, whose government, in the early 1980s, financially supported and armed the Contras and, under the pretext of fighting against communism, limited the independence of Central American countries. But let’s go back to our subject… Since the early 1990s, there has been a strong resurgence in Central America of a kidney disease called CKDu, which is irreversible and mainly affects men, with a stronger representation in the primary sector: agriculture and mining. This disease, in various forms, is also present in Sri Lanka, India and Egypt. There is a lack of data and resources, especially in Africa, to evaluate the expansion reached by a plague that seems to become global (read this recent article published in Science). Apart from a common symptom (severe kidney failure leading irreversibly to death in those patients who, when terminally ill, do not have access to weekly dialysis), it is difficult to identify common traits among patients. CDKu only became a subject of scientific research in 1999. Carried out to promote public health, these studies focus on statistical comparisons attempting to discover prevalence factors. After the disease was identified, more and more studies were conducted, and they went more in depth. However, they remain limited due to lack of funding in poor countries where CDKu has a grip and the lack of WHO interest. This has enraged some activists for whom “the billions that have been spent to study the Ebola virus, responsible for ONLY 14,000 deaths (sic), are to be weighed against the ravages of a disease that is estimated to have struck 20,000 Mesoamericans and 20,000 Sri Lankans”. At this point in time, even the most virulent social activists remain sceptical for lack of irrefutable scientific evidence. Inhumane working conditions in cane fields, pesticide poisoning (also responsible for cancer cases in the banana industry), climate change worsening dehydration at work, or virus transported by a hurricane – a number of causes have been suggested. They all add up, get tangled and prevent a simple analysis of the problem, thus making it hard for politicians to solve it. 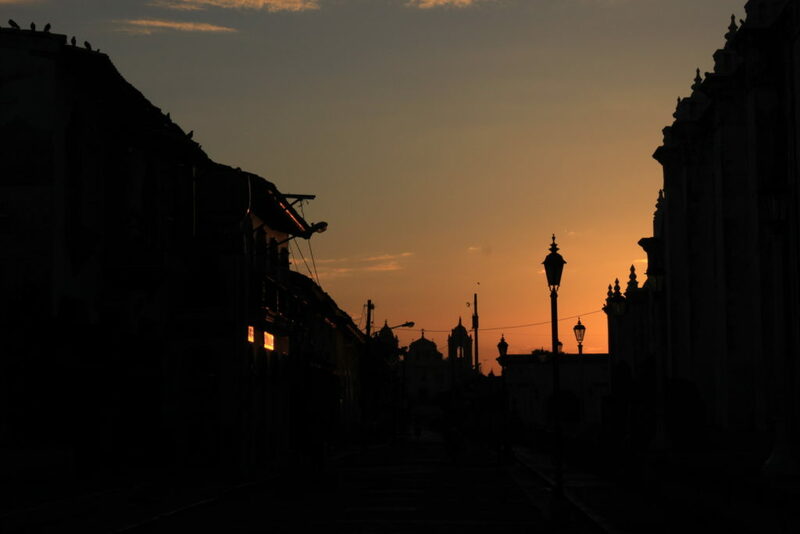 It is in Chichigalpa, in Western Nicaragua, that the disease reached a critical dimension, which allowed it to emerge into the media limelight: an epidemic wreaked havoc in this former Spanish capital when men dropped like flies between 2003 and 2005. In the region’s agricultural industry, sugarcane had become the only cultivation, thus increasing the death rate among local peasants because they had no option other than swinging the still warm machete of a father or brother who had just been buried. 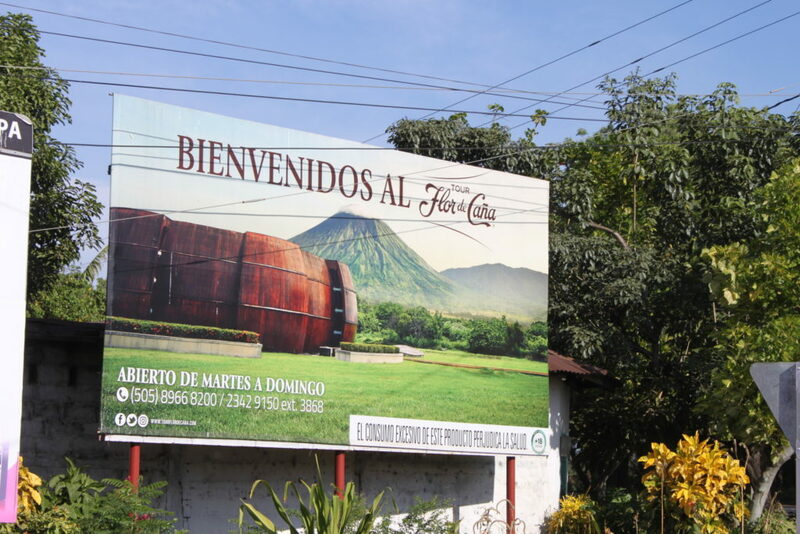 The local omnipresence of Ingenio San Antonio, the huge sugar estate which produces a rum that is later aged at the Hacienda Flor de Caña, provoked a crisis that deteriorated into a revolt in 2008 (read this interview with Jason Glaser). As the owner of these two subsidiaries, the Pellas Group received the blame from the local population at the time. Jason Glaser, who was present in the region, turned the spotlight on the hell agricultural workers were going through. Although the American aid worker’s efforts were criticised by some local players (read about our meeting with members of the Asochivida association), we decided to bet on his sincerity and ability to distance himself from the problem. Jason Glaser opened the doors of Nicaragua for us and encouraged us to meet those who were his fierce opponents for eight years: the management of Nicaragua Sugar Estates Limited (NSEL), the owner of Ingenio San Antonio (ISA) and Flor de Caña. In sporadic exchanges that spanned a year, he encouraged us to persist and interview the various parties involved: the management at Flor de Caña and at the sugar group, public health doctors at the University of Léon (a town near the sugar estate), humanitarian lawyers helping patients locally for access to healthcare, cane cutters… Jason Glaser provided us with a wealth of information, contacts, confidential emails and research for more than a year. On several occasions, I could sense his anger over what he regarded as the management of NSEL being disconnected. At a meeting in London, NSEL’s director said to Jason that “obviously workers should drink a lot, up to 18 litres a day, but they don’t”. Did you say “disconnected”? What sort of inhumane work requires so much water? Wouldn’t it make more sense to just reduce working hours? Which brings us back to this academic research and the subcontracting system mentioned earlier. After some hesitation, we finally contacted the multinational based in Nicaragua. At first, the management of Flor de Cana directed us towards Burson-Marsteller, a communications firm specialised in crisis management, famous for working with FIFA when the latter was beset by corruption scandals. In this case, the American public relations agency allegedly gave a our bartender friends a hard time (read our interview with Evan Watson). Hired in Miami by a subsidiary of Grant’s (the distributor of Flor de Cana in the United States), their representative David Taggart soon proved unable to answer our questioning in depth. These questions, although as precise as possible, may have been abstract and based on naive misconceptions, but they were met with his poor knowledge of a case that was so complex that he could only try to elude them with clichés monotonously recited (“talking points”) and the hope that the conversation might move on to another topic. Yielding to our insistence, David finally directed us towards an inevitable field trip. Encouraged by Jason Glaser (“keep up the pressure, he wrote in an email, it works!”), who was nevertheless on the verge of signing a collaboration and data-sharing agreement with the owners of Flor de Caña, a trip to Nicaragua was overdue. It’s always a pleasure to leave Paris at the end of the winter (more precisely in March), when everybody’s suffering from a severe lack of vitamin D. Now, Nicaragua… Not much information on this destination can be found on the Internet. In terms of how safe it is, it’s quite difficult to get a clear idea. My industry friends, who are rather familiar with the placid, colourful charm of Cuba, don’t reassure me at all with their comments: “Don’t go there, especially alone, you’re crazy, they’re gangsters, they’re going to hack you to death or shoot you in the back of the head”. Between bloggers on the one hand, who tell of their travels with their wives and children, and the popular press on the other, who bombard you with disturbing news, you tell yourself that surely the truth lies somewhere in the middle. In Miami, where the plane makes a stopover, I’m quickly reassured when the departure lounge gets flooded by groups of American teenagers sporting t-shirts bearing the logos of their aid groups – “Rebuild Nicaragua”, etc. Blonde hair and teen acne for the boys, short shorts and styled hair for the girls. Talk about a risky destination! What kind of parents would send their kids on holiday to a no-go area in beachwear? On arriving in Managua on a Saturday evening, after overcoming the initial shock of the tropical climate, I head towards the Hyatt hotel. It’s been recommended to me by the head of communications for the Nicaragua Sugar Estates Companies, whose main argument is that it’s close to the Galleria, the shopping centre that has just sprung from underground and that would lend itself nicely, he thinks, to a leisurely walk on Sunday. He has a point: Managua is no dream destination. Completely destroyed by an earthquake in 1992, the capital of Nicaragua, where no one gets around on foot, is a bleak succession of housing estates and slums that don’t exceed one or two floors. Fear of an aftershock and a lack of funds have prevented any decent reconstruction, even when it comes to the historic centre. So, I’m trapped in this huge, brand new hotel, in the company of a handsome Japanese man, who sells lorries and likes cycling, and a couple of good-natured Costa-Rican families. On Sunday, after a quick tour of the Galleria, which turns out to be what it is, a shopping centre, and a very nice walk around the huge Rumberto Huembes market (a much more interesting place than the Galleria, but that’s only my point of view), I make a snap decision. The first meeting will be on Monday morning, the Hacienda is to the north, so let’s go to Léon, the former capital, with its historic centre, its cathedral and its extraordinary museum of Mesoamerican contemporary art. And Léon is only within a stone’s throw of Chichigalpa, the town where Flor de Caña is based. The journey up north consists in following the only road there is – the Pan-American Highway. This is a matter of two or three hours, depending on the traffic and the state of the taxi you’ve got into. A good opportunity to get in contact for the first time with a “real” local and also ask the first comer questions about the disease as a means of sizing up what the population thinks about it. All viewpoints being equal, that of a taxi driver is always worth asking for. A taxi driver talks to a lot of people, listens to the radio, and they won’t hesitate to throw decided opinions at you. My driver doesn’t disappoint me and doesn’t hesitate to claim that Ingenio San Antonio is home to none other than “devils”. Quite a warning ahead of my meeting tomorrow! The journey also allows me to drink in the landscape. The bumpy road to the north doesn’t conform to the image I had of Nicaragua, a country covered with primal forests in its centre, where mysterious Native American temples reach out through the foliage to the Gods. Travelling through a plain set between volcanoes to the right and the ocean to the left, the road to the north reveals a very dry landscape. Vegetation is abundant, but not lush, and colours lean towards shades of yellow rather than green ones. The cattle are sparse and rather slim. It’s very hot, and my taxi driver confirms that this is the dry season. The first sugarcane fields show up after an hour and a half spent in the scorching heat. The setting of the sun barely makes the air cooler as we’re about to arrive in Léon. Once there, I drop my bags in a squalid guest house and I go to have a bite at café Sesteo, the meeting point for poets and engaged intellectuals in the 19th century. Their portraits adorn the walls, the central one being that of Rubén Darío, the national poet and a leading figure in Latin American literature at the time. This “historic” café at the corner of a street, located in front of the cathedral, made entirely of wood, is wide open to the outside, offers a sufficiently intoxicating Argentinian wine and has excellent wifi (very useful). As I connect to the network I find out that the first meeting with the directors of group Pellas will take place on the next day in Managua at 9. After spending the night in a furnace, I return to the bus station at 5am and take a new taxi to hit the road for 3 hours, the same one but in the other direction. As early as sunrise the heat builds up inside the car. I sit in the passenger’s seat at the front – there’s no back seat. At the office of Nicaragua Sugar Estates Limited, one of the main companies at group Pellas, I don’t know what to expect. Risen from the civil war ruins and built by Carlos Pellas, an imposing figure with the physique of an Italian tenor, this tentacular group wields, via its agro-energy complex especially, the power of an empire in a country as poor as Nicaragua. After a year talking with Jason and reading, unable to find an objective cause to the disease (and for good reason), my questions have been chewed to the bone. They are simple and reasonable, though. The meeting takes place in the company’s large meeting room. Employees in black and white suits pamper me, nursing my sleep deprivation with coffee served in china cups. I am introduced to Dr Dennis Chavaria, and then I am told that Ariel Granera Sacasa, the head of communications, will soon join us. There’s a few awkward silences, I venture a few jokes, e.g. spilling my coffee, and I take this opportunity to refine my questions. Here they are: Isn’t the fast growth of the sugarcane cultivation industry, in the 2000’s and onwards, fuelled by the World Bank’s money, the culprit? Was the cane cutting job ethos sufficiently established for men and women to be prepared for this extremely hard work? The latest research shows a direct link between the violent dehydration affecting workers and the disease. Why was this not acknowledged early on? Why did the communication associate the causes to worker attributes (excessive consumption of alcohol or painkillers, genetic factors)? Is it normal in 2017 to work ten hours a day in extreme conditions, without breaks and without hydration? Why can’t the group, as an influential member of the Committee of Sugar Producers in Nicaragua, impose basic standards such as the length of the working day, water and shade, to the whole supply chain, from the subcontractor to the cane cutter? I’m ready and, surprisingly, I’m relaxed. It’s been a few years since the subcontracting system was abandoned and the mechanisation of work almost completed. I also know that the Hacienda has put in place its own programmes. This is an industry that’s changing, but nonetheless I intend to bravely argue with the other party. This is naive, but maybe my naive ideas can be confirmed by the experience gained in the complex world where group Pellas operates. The simplest way to contain the disease: Give workers water, breaks and some shade, for Christ’s sake! As a rookie, somewhat candid investigator, I hadn’t expected to meet a guy as friendly and sly as Ariel Granera Sacasa, though. French-speaking, in his 50’s, 1,68 metres at the most, a mischievous twinkle in his eyes, the head of communications for group Pellas looks like Dustin Hoffman. Expertly, he greets me with disarming benevolence and begins the interview with a short history of Nicaragua from independence to the modern day, speaking perfect French. Of course, the way in which Panama nicked the Transoceanic Canal project from Nicaragua by bribing the Capitol piques my interest. Judging by his smoothness, Ariel is obviously part of the old boys’ club – I will later learn that his aunt, recently deceased, was the Minister of Police for President Ortega – but the seduction operation is carried out with tact. Ariel is accompanied by Dennis Chavaria, the group’s doctor responsible for conducting internal research into the causes of the disease and for implementing solutions. From Ariel I will obtain mind-blowing figures. The Nicaragua Sugar Estate boasts 18,000 hectares of sugarcane cultivation (i.e., almost as much as the planted area in La Réunion), 600,000 tons of sugar produced every year, an electric factory generating as much energy as the annual operation of 150,000 cars, secondary schools and a hospital dedicated for its employees – a state within a state. My supposedly embarrassing questions are swiftly and momentarily dismissed by his answers. According to Ariel, the World Bank’s money was mainly used to invest in the ethanol production unit. Area expansion took place slowly. The health and safety regulations put in place by Ingenio San Antonio protect sugarcane cutters who start work at 6am and finish at noon at the latest, with 10-minute breaks every hour and plenty of water. Besides, sugarcane is no longer purchased through subcontracting and 90% of sugarcane cultivation is now mechanised. Finally, the NSEL is about to receive Bonsucro certification, Bonsucro being the global certification network for the sugarcane sector encouraging sustainable development in its three aspects, economic, human and environmental. Keep moving, nothing to see here! As for Dr Chavaria, a discreet man, he says he’s willing to share all his statistics on the clinical cases observed within the company, the number of which declined from 120 cases during the 2006-2008 period, when the recurrence peaked, to a stable 30 cases per year ever since. Although he admits that the causes of the disease can be “occupational” (related to the physical aspect of the job), Dr Chavaria explains that it is impossible to pinpoint this factor only because children have been diagnosed with the disease in urban areas too. At that point in time, I haven’t made much progress in my investigation into the group’s responsibility. I don’t doubt the doctor, a man whom I consider honest and who will turn out to be completely upright later, but I can’t wait to meet the Medical School Professors Jason has recommended I see in Léon. But patience is de rigueur because, for now, I am being looked after by group Pellas. I’m scheduled to go back to Léon to meet with the people in charge at Asochivida, an association that conducts negotiations with the sugar company on sick workers’ behalf. Jason Glaser dubbed its directors “yes men”. But Asochivida can be credited with the media coverage of the disease in Chichigalpa in 2008. 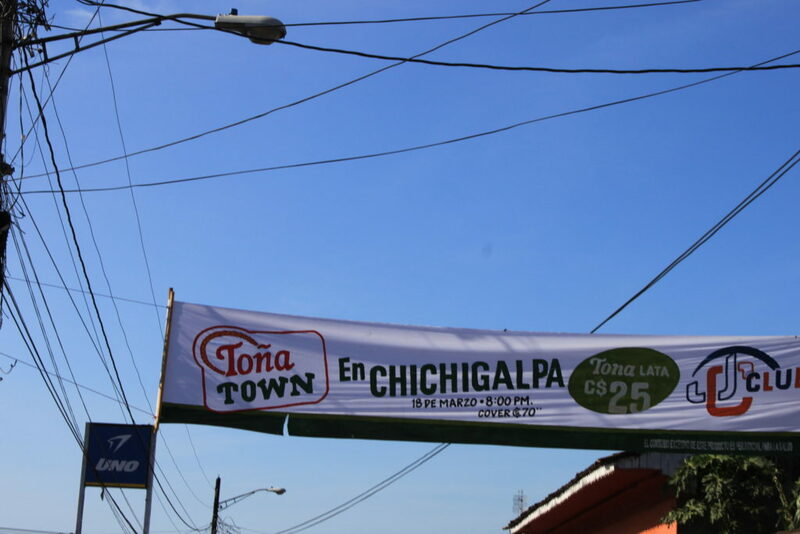 After a quick meal (don’t ask me to talk about the local cuisine), we arrive in Chichigalpa, our destination. The association has its office right in front of the metal gate that marks the guarded entrance of the sugar estate. A dirt parking lot, under an immense flamboyant, four concrete walls painted in light green, nice openings in wrought iron, but very minimalist decoration inside – a concrete slab and plastic furniture. I am treated with the utmost courtesy. After this meeting (read this) I have an even more confused image of the case. Clearly, the association and Ingenio San Antonio go hand in hand, but it’s difficult to blame them for it in a country where the state is completely deficient. In substance, Asochivida is in favour of a constructive dialogue with the company. The complaint they filed in 2008 with the WTO made it possible to start the first research projects in the region (criticised by Jason Glaser for that matter). Ever since, the association has negotiated to defend what can be defended. They now try to collect funds to allow sick workers to get medicine and to finance the $150 that critically ill patients have to pay weekly for dialysis treatments and survival. They also try to develop a micro-credit activity to help those workers who are physically unable to go back to the fields start small businesses. Their President is proud to announce the funding of 86 weekly dialysis treatments, as compared to only five a few years ago, and he’s more than happy to make me see the pharmacy right next to the association’s office. Radical opponents such as Jason or Carmen Rios (a high-profile activist) are hauled over the coals. “The more radical opponents to group Pellas look for financial compensation although there’s no legal evidence. They want money, and they want it now. We look for other forms of compensation”, he says to justify his efforts. The quest for the truth is always a complex one, with so many prisms distorting it. How could those who have nothing be blamed for having a constructive approach and trying to negotiate for the minimum they can get. The dilapidated office, however, makes it look like the association is in dire need of resources, given what is at stake. Right across the street, Ingenio’s metal gate is closed and guarded. What I begun to realise in the air-conditioned car is becoming increasingly clearer: it’s better to be inside group Pellas than outside. In order to visit the Hacienda and sugarcane fields on the next day, I decide to spend the night in Léon again. This time round, I choose a hotel that does the country proud, although it’s a serious strain on my wallet. El Convento is a former nineteenth-century convent. Repurposed as a hotel, it houses part of the art collection belonging to its owners, who also sponsor one of the most beautiful museums I have ever visited: the art centre of the Ortiz Gurdian Foundation. I am still struggling to find contacts within the independent communities of sugarcane cutters. I could take a taxi and go on an adventure, but I don’t really know where to go and I’m running out of time. This is clearly one of the limits to my investigation. Fear, inexperience, laziness, there’s something missing. I can’t sleep at night because of jet lag, so I chat with the night-watchman and the waiter preparing the dining room for breakfast. The latter tells me that his cousin suffers from a kidney condition and that he can arrange a meeting for me. Bingo! I give him my contact info. In the early morning someone picks me up. This is “Corporate Day”, the day of the official visit. I’m going to see everything! The 4X4 drives past Asochivida and its flamboyance. But this time around I go through the famous metal gate to enter Sugarland. Of course, I am treated to a royal welcome. The visit begins with the offices. I am greeted by the local manager, a hybrid between Bud Spencer and Sean Connery. Sporting a colonial outfit (white shirt, beige trousers, white beard), this giant has been managing the sugar refinery for 30 years. He welcomes me and my escorts (Dr Chavaria and Ms Serrano) in the meeting room, where the walls are covered with black and white photographs depicting the house’s 130-year history. A true force of nature, our host rants and thunders like Zeus would. He won’t let anyone get away with accusing his business, his life, his work of being inhumane. He points out the labour-friendly practices of a company which, as early as the nineteenth century, started offering occupational medicine, at a time when the country didn’t even have social security. Impressive. We all agree to meet for lunch and then to go to the neighbouring countryside. We drive past sugarcane fields that stretch as far as the eye can see over flat lands, so monotonous “that a canal hanged itself”. Trucks and trains with nearly 10 wagons filled to the brim with sugarcane come down the dirt trail. Once we’re at the site, we can enjoy a beautiful show. Is this all staged for me? How can I find out when there’s so little time? What can I see? In a field where the sugarcane has been burned, a team of futuristic soldiers, equipped from head to toe with gear protecting them from cuts, bustle about with bent machetes – allowing them not to break their backs too much. They march forward in closed ranks. I am no sucker. They can’t assign this kind of team to every field at every cutting session. Other inconsistencies confuse me. Why cut sugarcane manually on such a flat terrain? I turn to the doctor for answers. He doesn’t answer my question directly, but he dwells on the objectives of the research programme collecting data to find out whether hydration, rest and shade are sufficient to keep out the pathogenic factors behind the CKDu disease and try and determine the causes behind its development. Back from the fields, we hurry past the distillery (refinery), an enormous industrial estate that could have featured in Ridley Scott’s Blade Runner or David Lynch’s Dune. 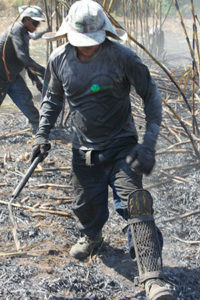 Everything is covered in dark-grey dust because of the burning of sugarcane. The whole thing is massive, modern, tragic, industrially beautiful, not romantic at all. You have to make a bit of a nuisance of yourself to get there. Just try, you’ll see! Usually, rum tourists don’t go further than the Hacienda, its gardens, its visit centre and its ageing barrels… A more presentable setting. We then drop into the bottling factory, where the production unit for the isotonic water distributed to workers is put in the spotlight. The water they produce there is split into three flavours: lemon, violet and blackcurrant. The system is connected to the research carried out to eradicate or stage the eradication of all the possible causes of the disease. We visit the school dedicated for group Pellas’s employees’ children, then the hospital with its state-of-the-art equipment – but no dialysis equipment – and that’s the end of this seamless tour of the property. Ingenio San Antonio is a world in itself, where people seem to live the good life. Twelve o’clock, it’s time to have lunch at the Mansion, a well-kept tropical paradise. Next to the swimming-pool, in a huge dining-room and around a round marble table that can accommodate up to twenty-five guests, we begin our meal with an Old Fashioned cocktail made with Flor de Caña 7, discussing its merits. After enjoying the delicious cuisine, pleasant conversation and a Flor De Caña 25 as a digestive, I go on a private tour of the Hacienda where the rum is produced, still accompanied by Ms Serrano and Dr Chavaria. After a halt in Circe’s garden with its Mediterranean softness, it is now time to hit dusty dirt trails again. We leave the sugar estate by going through the same metal gate. Heaven’s Gate? The heat suffocates us immediately, but we’re riding in a 4X4. A new metal gate, even more majestic, awaits us a bit further. Still located in the town of Chichigalpa, the Hacienda Flor de Caña is the rum estate. This is group Pellas’s true tourist attraction. There, tens of thousands of barrels are used for the ageing of the only rum brand in Nicaragua. At our arrival, the police run a check on us. Two guys whose car is parked a bit further are stopping the “rare” cars that enter the estate. 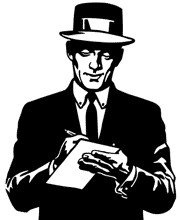 They are looking for a “French journalist” who asks questions. I’m not a journalist, but I’m French. All I have to do is keep quiet, and everything will be fine. I stay in the car, near the service entrance. The young communication manager for the brand who was waiting inside and Ms Serrano start a long palaver that will last about ten minutes. They point to me several times. I can feel that my hosts are a bit nervous but in control. Finally, the policeman, a very short man with a very cunning look on his face, walks up to me. Sometimes adrenaline has its virtues, and I don’t shake too much as I answer his questions, staring at the mischievous twinkle in his eyes. Yes, I’m French. No, I’m not a journalist. I look him in the eye. Twenty seconds later, we shake hands and part ways. He turns around with the amused look of someone who’s just played a good trick. The metal gates open, rolling on their rails. I am fairly confused as to the whys and wherefores of the slightly intense moment that has just happened. My companions dodge my questions and answer me with platitudes. Was this a show of defiant authority by the local administration intended for group Pellas? Was it all staged? Unlikely, because my hosts look extremely annoyed. This adds another piece to the puzzle. It’s easier to troll in front of a computer screen. What can I say about this new tour? Meeting with more nice guys. A warm welcome, an impressive stock I can take pictures of, despite the darkness. At the top, the centre presents a hundred years of history. It gives prominence to old paintings and to the late railway (typical of most rum countries). The tasting takes place in a reconstituted Spanish-style cellar. The furniture has been carved from dark varnish barrels, and behind a sheet of glass one can see the oldest barrels at the Hacienda. It all looks very nice but a bit too Disneylandesque, not up to the high standards of an in-depth Rumport. Next time, they’d better make us drink directly from the barrel… Now, I can’t really complain… I’ll leave the technical aspect of rum to other, more expert Rumporters, though. Besides, I haven’t come for that. I’ll come back. Around 4pm, I tell myself that I’m finally going to be able to enjoy some alone time and the attractions of Léon, a town I’m growing more and more fond of. Alas! The marketing managers of the brand are keen on meeting me. Plans have been made for a dinner in Managua on that same evening. Back to the Pan-American Highway, riding a 4X4 again. The dinner takes place in one of the many Western-style restaurants at the shopping Galleria. This is like being in the United States. The conversation focuses on business, marketing and strategy. 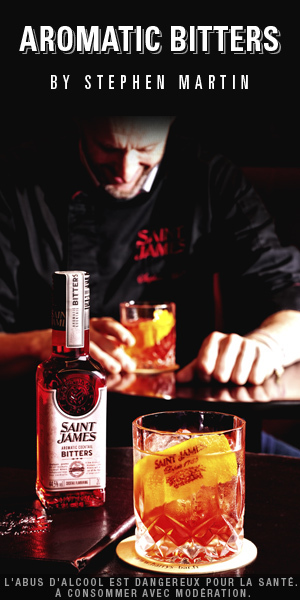 The people I’m talking to conform to a model that doesn’t fit with European rum lovers’ expectations. Too accustomed to selling rum to the United States at a time when America was going after vodka, they don’t realise that claiming to have broken a distillation record with 97% purity won’t have any impact on our readers. I try to explain this to them, but they don’t have the rum culture it takes to understand that storing 200 litres of pure ethanol in barrels for 25 years is a waste of time and money. Maybe I should have sold my services as a consultant and decided to help them conquer the European market, but we soon stop talking about business, the conversation having come to a dead end. So, we talk about the country and our families. Great guys, the like of which you can meet so often in such a nice industry like ours. I must credit Flor de Caña with three main virtues: the age on the label is reliable (I confirmed this by rummaging through the storehouses), their rum is not altered by additives, and it doesn’t give you a headache. I can testify to that. The 25-year-old bottle with my name carved on it that my new friends had given me didn’t make it to the next morning. Before I go back to the Hyatt hotel, my hosts advise me to make a last-ditch effort tomorrow to seduce group Pellas, who turn out to be as clingy as their rum is limpid. A visit to the clinic/foundation created by the big boss’s wife has been scheduled. Its mission is to provide care for patients suffering severe burns. The couple narrowly survived a crash when they were young, and they came out of it, certainly stronger, but with burns all over large parts of the body. In the early morning, a new driver picks up my hungover Rumporter self. When I get there, I am greeted by the very attractive manageress of the centre and two photographers who want to immortalise the event. I quickly dismiss them by asking them to go and fetch me a cup of coffee. The visit is a moving one, the place has a noble atmosphere, but I’ve had enough of being led around by the nose. So I play the fool. Not sure they still have a fond memory of my buffooneries in that solemn place. Ten o’clock in the morning, free at last. I can’t wait to return to Léon where I’m supposed to meet two Medical School Professors, Marvin Gonzales and Aurora Aragon, with whom Jason has made appointments for me. But I’m going to have to wait a bit. This is Wednesday morning and Dr Gonzales, with whom I’ve been exchanging emails, won’t be available until Thursday evening. I must leave on Friday, so this doesn’t leave me much time. So I arrive in Léon after an umpteenth taxi ride on the Pan-American Highway. This time around, the vehicle the hotel has ordered for me has a back seat but no air conditioning. We listen to Eddy Mitchell on a small speaker I bought the previous day, and I think the driver likes “Rio Grande”. I have a meeting in the evening, which gives me some time to rest and visit the town a little. I begin with the museum next door to the hotel. This is an aesthetic shock. The permanent collection of Mesoamerican contemporary paintings, ranging from 1950 to today, is simply incredible. Midway between the figurative style and the abstract one, between Frida Calo and Henri Rousseau, some sort of a Frida Rousseau style. There’s also an amazing temporary exhibition: some 250 drawings by Dali distorting the Caprichos, the set of portraits by Goya. The museum itself is a modern one, built on the vestiges of an eighteenth-century convent (another one), completely empty, without a single tourist in sight. I have the whole museum to myself, with the watchmen turning the lights on and off as I progress from one room to another. The complete opposite to the museum experience in Paris. A slap across the face 9,000 km away from the Louvre. As an incidental remark, this museum justifies a visit to Léon and therefore to Nicaragua. I learn a lot about the disease and the scientific methods used by those who don’t have many resources. I admire my interviewees’ dedication and determination, but I don’t find out much (see interview) about the causes of the disease and/or Ingenio San Antonio’s responsibility. I’m not saying that Dr Gonzales uses doublespeak, but I can tell that, on the one hand, he wants to spare a potential ally who could allow him to resume his research and, on the other hand, his scientific rigour is absolute, which stops him from reaching final conclusions. Still, the Doctor aims a few arrows (which will hopefully hit their target) at the lack of transparency displayed by the company in terms of sharing the information collected during the internal research they carried out. The Doctor, an employee of the state, is more aggressive against the 2008 law (see chronology) which, by means of vicious amendments, has made it possible to deny many patients access to essential care. This is my main takeaway from this interview, and it’s not a convenient one for me. Looking at the influence peddling that took place over a Nicaraguan law dating back to nearly 10 years ago is outside my area of competence as an investigator. However, the material I have at my disposal is content-rich and the news I regularly receive from Jason is encouraging… Maybe we will never know THE truth, maybe patients and the dead victims’ families will never receive compensation, but we are actively participating in the resolution of the problem… It is now time to write things up. But what to write about? As soon as I land in Paris, I immediately take off and fly to Madrid. Emiliano and Elvira, who are preparing the first Rumporter in Spanish, are waiting for me there. The director of Flor de Caña for Europe, with whom we have an appointment, has heard about my trip to Nicaragua, of course. During the meeting, he buys us an ad. At least that’s something! When I can finally drop my bags in Paris (Editor’s Note: in Romainville more exactly), I message Jason Glaser. In a dramatic turn of events, the tone has changed. Ariel Granera Sacasa and Jason have finally met. The American aid worker tells me literally that everything is about to be solved, that he’s made huge progress. The problems he had with ISA have ironed out so much that he now thinks that it was all a succession of misunderstandings. I’m not completely fooled by the situation, nor cynical about it. Politics is the process of gaining and losing ground. I trust Jason absolutely, even though I know he’s no saint, and I have a lot of esteem for Ariel, so I tell myself that, at the end of the day, time is on our side. It is no longer urgent to write things up. Life is getting back to normal. Besides, I feel there’s a big hole in the nets of my thinking. I can’t get in touch with the people from Pase, the American legal association which on a daily basis provides free advice to those workers that have been expelled from social security schemes. They are the best source on the ground, but they no longer reply to me. I once got hold of “Clémentine” on Skype. She explicitly asked me to never mention her (I’ve changed her name for this reason) for fear she might no longer be able to return to Nicaragua and work there as a lawyer. So, I will wait until I’ve spoken to them before I can write anything. Putting everything on hold for a few months will help me think things over – the mind will work its magic and keep making its operations subconsciously. I come to realise that I’m scared of not living up to what is at stake. In the end I go into semi-retirement for a week, alone in the Alps, to write things up. A two-hour walk in the mountains encourages thinking more than five hours of nervous writing fuelled by coffee and cigarettes. Everything begins to fall into place. This tale is the result of these peaceful moments. I weigh, I evaluate, I dismiss some negative thoughts and other ideas telling me that all of this is none of our business. Time to reach conclusions. Otherwise, I could be blamed for finishing this article without answering the question that serves as a title for the dossier. How justified was the call to boycott Flor de Caña? I can spontaneously answer yes now that I’m able to put arguments forward. It is reasonable to think that, in their “talking points”, the management of NSEL mentions causes that allow them to clear their name; they do so, or did so, to buy some time to solve the problem in their own way and without losing face or, more cynically, to avoid paying for a deadly growth system from which they have benefited among others. From meeting with a few public health doctors, independent researchers in whose wheels the Nicaraguan state keeps putting a spoke, I learnt one thing. There’s not one culprit that people can vilify or pillory. Everybody has difficulty finding the origins of this evil. That’s a fact. Wherever there’s a gap in knowledge, one can be tempted to boil things down to one cause in order to reassure oneself. But a causal link is often a web with multiple ramifications. In my opinion this also applies to CKDu. That being said, why wait until one cause has been identified when you can deal with the easiest one, i.e. working conditions? The ISA managers whom we met have always proved to be charming people, motivated by genuine good will (far from the hypocritical henchmen I expected to run into, the likes of whom prefer to take up residence in PR companies). However, they live in some sort of alternative reality, a separate world. It is possible indeed to be born into the Pellas Group and grow up, be educated, work, age and die there. Its directors have every right to boast about their sense of social responsibility (a form of paternalism that has disappeared in our part of the world, which is not necessarily a good thing). But they do not feel they are responsible for public health policies, which must be pursued by the Nicaraguan state. As charming Dr Aragon puts it, they are mainly guilty of entryism, of not participating in the team effort. It’s easy to say this when you’re comfortably sitting in your chair 8,000 km away from there, and I have carefully weighed my words. In fact, instead of mounting a case against the Pellas Group, I’d rather blame the development model encouraged by global institutions. 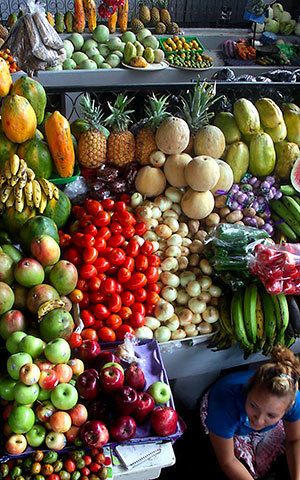 The Nicaraguan case illustrates a kind of productivism aimed at building export industries in rural areas with all the usual side effects: destruction of rural communities, monoculture, loss of biodiversity, entering a vicious circle because of an attempt to catch up with modernity and thus becoming cash-dependent, etc. Deep down, the directors of the Pellas Group think they are right. An evidence of this is how proudly those I met talked to me about the Galleria de Managua. Worshipped for its modernity and the brands that have opened shops there (Adidas, Apple, Zara), the Galleria is just another shopping centre like there are so many around the world, and a deadly blow to local shops. I don’t necessarily blame them when I stupidly choose the comfort of an air-conditioned 4X4 over the baking-hot, chaotic taxis on the street. And I don’t necessarily blame them when I read about what’s going on in Chiapas, where the autonomous rural communities created by the Zapatists under Subcommander Marcos continue to reject this development model at considerable cost in terms of daily effort, in return for their dignity and freedom of thought. Dignity versus modernity, a complicated debate. I’ll say it again: yes, those North-American barmen were right in calling for the boycott of Flor de Caña, but now the situation has changed. As Jason Glaser says, it is time to leave the past behind and encourage Flor De Caña to keep moving forward in an open way. For example, he has signed with them a cooperation agreement that has borne fruit and turned SER into the most advanced sugar refinery in America in this regard. Jason, who has renamed his foundation as la Isla Network, is working on extending the scope of his research and activism to other countries in central America, but also Africa (Egypt) and Asia (Sri Lanka, Thailand). He asks me on a regular basis to put some pressure on his new Nicaraguan friends to speed up the advancement of projects. He now has ambitions, with our help, to clean up the whole treacle sector in the rum industry. As Ian Burrell points out with reason, if you want to blame A, what about B who buys their treacle from A and C who buys B’s rum. But treacle is a whole different ball game, a case with an infinite number of ramifications. Treacle travels incognito. Short of hiding in ports and hopping onto cargo ships like Tintin and Milou, there’s not a lot one can do to track treacle tankers, which, also, are used for other purposes than rum production. This enquiry concludes on a hopeful note, but I cannot help but think that the dead will never be resuscitated, nor the CKDu victims’ widows compensated. Clearly, Nicaragua doesn’t have the necessary financial resources. As for the private Pellas Group, they have neither the will, nor the financial power to carry the whole burden of this responsibility. The compensation issue and the length of time required to put solutions into practice will probably leave a stain on the conscience of all those involved in this tragic story. In the meantime, I want to say one thing to everybody: Rest, Water and Shade. It’s that simple, like a pre-dinner pastis… minus the pastis, plus the manual work.